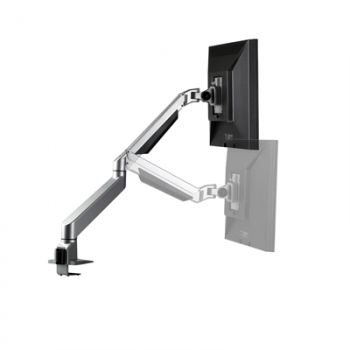 When describing the all-new Advantage Series of monitor arms several terms come immediately to mind: sleek, stylish, user-friendly, and tremendous value to name but a few. With the most logical and solid clamp design to date, a standard quick release mechanism and velvety soft counterbalanced motion through an outstanding range, this series is set to become your new standard. The arm folds to less than 3” to save space when not in use.